If you’re looking for a business travel credit card, the Chase Ink Business Preferred Card is one of the best on the market. With a massive sign-up bonus, great rewards on business expenses, and a flexible rewards program, this card’s tough to beat. That said, it does charge an annual fee, which could be a deal-breaker. If you just won’t pay an annual fee, try out to the CardCruncher tool to see which credit card will offer the best rewards with no annual fee. 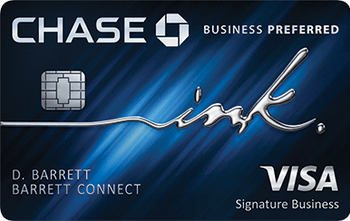 But if you’re set on the Chase Ink Business Preferred Card, here’s everything you need to know. Bottom Line: Should You Apply for the Chase Ink Preferred Credit Card? 5% cash advance fee ($15 minimum). 5% balance transfer fee ($5 minimum). As a new cardholder, you’ll earn a sign-up bonus of 80,000 points after spending $5,000 in the first three months. 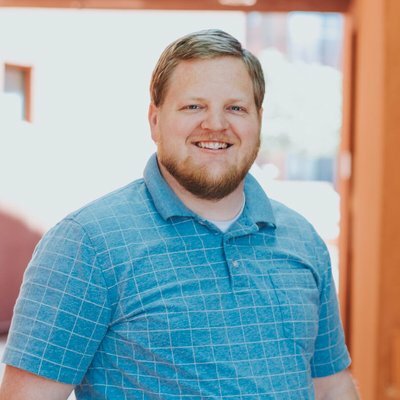 You’ll also earn 3 points per dollar on the first $150,000 you spend on travel, shipping, internet, cable, and phone services, and on advertising with social media sites and search engines. 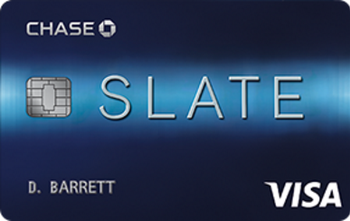 The card’s rewards program, Chase Ultimate Rewards, offers incredible flexibility. You can use your points for cash back or gift cards, or you can redeem for 25% more value if you use your points to book travel through Chase. If you want even more options, you can transfer points to one of Chase’s airline or hotel partners—which can yield even more valuable redemptions. The card offers primary rental car insurance, which means you don’t have to file a claim with your personal insurance provider first, so long as you’re booking business travel. It also comes with trip cancellation and interruption insurance, which can help if something unexpected happens before or during a trip. Best of all, if you pay your cell phone bill with the Chase Ink Business Preferred, you’ll get cell phone protection in case you lose your phone or it’s damaged. With most cellular providers, you’d pay $10 per month for that kind of insurance, and it comes free on the Chase Ink Business Preferred. While the Chase Ink Business Preferred Card offers some incredible benefits, there are some drawbacks to consider, too. Despite the card’s valuable rewards program, it may be tough to get beyond the annual fee of $95. If you’re trying to limit unnecessary costs, or your business doesn’t have a lot of expenses, you may want to avoid paying an annual fee. 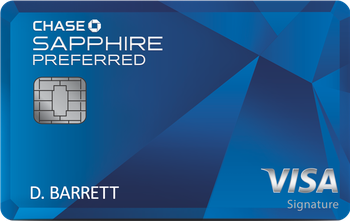 As with any card with a tiered rewards program, the Chase Ink Business Preferred Card won’t be worth its cost if you don’t spend a lot on its bonus categories. Even with the rewards boost when booking travel through Chase, a 1.25% rewards rate on most purchases isn’t much. You can extract a ton of value from Chase Ultimate Rewards if you transfer your points to the right travel partner. But to maximize that value, you need to spend a lot of time learning the ins and outs of those rewards programs. If you prefer a simple earning structure and redemptions, this isn’t the card for you. If you want travel rewards without the hassle of bonus categories or complicated redemption strategies, consider the Capital One® Spark® Miles for Business. The card offers unlimited 2 miles per dollar on every purchase, plus a big sign-up bonus. When it comes to redeeming rewards, simply use your card to book just about any type of travel, then use your miles for a statement credit against the purchase. 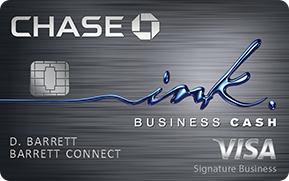 The Ink Business Cash℠ Credit Card is a sister card to the Chase Ink Business Preferred Card, but with no annual fee. It offers cash back of up to 5% on certain office-related expenses, though it doesn’t earn on travel and lacks some of the travel perks. If you prefer cash back and spend a lot in the card’s bonus categories, you could easily rack up more rewards each month. If you can afford a hefty annual fee, consider The Business Platinum® Card from American Express. The card offers a suite of elite travel perks that’ll make business trips and vacations all the more comfortable. It also offers annual credits for purchases from Dell, $200 for airline incidentals, as well as other valuable business-specific benefits. It’s a powerhouse card if you’re serious about the fringe benefits that come with a premium credit card. As you’re trying to decide whether the Chase Ink Business Preferred Card is right for you, here are some other questions you might have, along with their answers. Chase won’t approve your application for most of its cards if you’ve opened more than five credit card accounts in the last 24 months. That includes the including the Ink Business Preferred Credit Card and any authorized user accounts, too. Do Chase business cards count toward 5/24? No. Like most major business credit card issuers, Chase doesn’t report business credit card activity to the consumer credit bureaus. You don’t have to worry about the Chase Ink Business Preferred Card preventing you from getting other Chase credit cards. Do I need an employer identification number to get approved? No. You can get approved as a sole proprietor with only your Social Security number. However, even with an EIN, you’ll need to provide your SSN to get approved. The Chase Ink Business Preferred Card is hard to beat if you spend a lot on its 3X bonus categories. The Ultimate Rewards program is one of the most versatile on the market, and it offers other valuable benefits, too. But if you don’t think you’ll earn a lot of bonus rewards with the card, or you don’t have the time or desire to learn how to maximize your rewards, you’re probably better off with a card with a simpler rewards structure. In that case, try out the CardCruncher tool to find the card that best aligns with your spending habits—it’ll do the math. Don't see what you're looking for? Ask a question here about Chase Ink Business Preferred Credit Card Review: Great for Travel and Everyday Spending and one of our experts will get back to you.